Mary Dynan, “The Cloughmills McGuckians July 1948,” Life Histories Archive, accessed April 22, 2019, http://www.lifehistoriesarchive.com/items/show/2027. In this picture are Mary Dynan's cousins, and siblings. But Mary is not there - one of the big disappointments of her young life. She was in Gweedore at the Gaeltacht when an American friend came visiting and took this photograph to take back to the family American relations. Mary's disappointment was compounded when a copy of the photo arrived with good wishes to the kids and an autograph of Roy Rodgers. 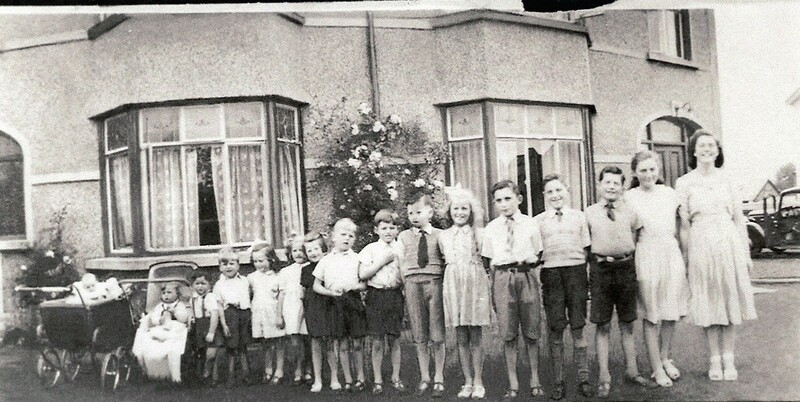 Also missing from the photograph are Mary's brother, Alan and cousins Liam and Brian, who were not yet born.